Wanstead is only 6 miles from central London, but is far enough out to have it's own village feel and vibe. 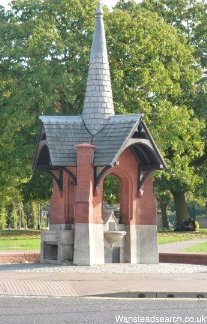 Located at the bottom end of Epping Forest, areas of Wanstead are close to swaths of forest. Wanstead Park and Wanstead flats are also large areas of park land located South of Wanstead. Wanstead Park is great for a walk any time of the year, only half a mile from the tube station. Wanstead Park was once part of the grandest estates in the London area. The grand house which was located in the grounds was owned by Hanry VII back in the 1400's. After the house was demolished in 1820 by creditors of the then current owners, parts of the park was purchased by the Corporation of London in 1882 and been used as a public park ever since. With several large lakes and plenty of woodland, the park is a great place to spot birds and wide life. For more info on the park, visit Friends of Wanstead Park Website. Once a month Wanstead has a farmers market, worth a visit. Every year there are various family events on Wanstead Green, check the press for details, below are a couple of photos from Wanstead Festival 2012. Being so close to central London means that using Wanstead as a base for your London stay is perfect, have an opportunity to see an interesting part of real London and be within easy reach of central London via the tube.